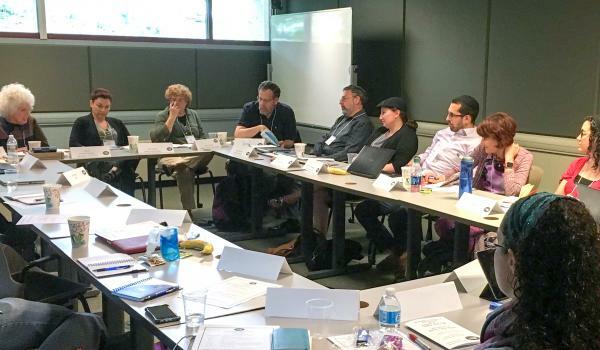 Editor’s Note: At the 2017 NRJE/ASSSJ Conference, CASJE again supported a seminar/workshop for emerging scholars--ten doctoral candidates and postdoctoral researchers were joined by a group of mentors. Together they explored the challenges and opportunities in careers involving research in Jewish education and participated in a workshop that looked closely at questions around CASJE’s recently commissioned research in Jewish early childhood education. Mentors and mentees also met one-on-one to discuss mentees' work. CASJE is pleased to share these reflections from one of the emerging scholars who participated in the seminar. The CASJE-sponsored Emerging Scholars Seminar at the 2017 Network for Research in Jewish Education (NRJE) conference was all the usual nice things. There was an interesting panel on potential career trajectories within the fields of Jewish educational research and practice. There were productive conversations between mentors and mentees that touched on a wide range of issues. Meredith Katz and Jeff Kress did an excellent job moderating conversation and providing a general structure to the various interactions. It was all very nice. There’s nothing like a good case study to animate thinking, to prod shareholders outside their comfort zones, and to advance “outside the box” rumination and reflection. But, this was no mere case study. Dr. Mark Rosen of Brandeis University, Frayda Gonshor Cohen representing CASJE, Tamara Halle of Child Trends, and Dr. Sharon Feiman-Nemser of Brandeis University and a member of CASJE’s Board of Directors—all involved to some degree in the actual research project—took our thoughts, suggestions, and even off-the-wall ideas seriously. A credit to the CASJE leadership’s open-mindedness is that its Emerging Scholars seminar had real stakes. It was a substantive invitation to engage critically with live work; a real opportunity to help shape an important project actively and currently in the field. Continuing professional education, as Dr. Lee Shulman has told many in the field, ought to be as closely connected to the daily activities of those professionals as humanely possible. From medical rounds to law clinics, these sorts of educational venues are vital to the growth of not just students, but to the continued development of entire communities of practice. CASJE took a big step in that direction this go-around. It’s one to be applauded and, hopefully, expanded upon in the years to come.